The need for nurses in the rural state of North Dakota is high, and the expected shortage of 260,000 nurses across the country by 2025 suggests that the state will continue to be in need of qualified RNs and APRNs in the coming decade. Additionally, because North Dakota has one of the lowest salaries for the profession − likely due to the state’s low cost of living − the pool of nursing candidates isn’t large, which means there should be plenty of opportunities for aspiring and current nurses in the state. Get more information on nursing schools in North Dakota and learn how to obtain a state license to start practicing. The North Dakota Board of Nursing regulates the field by setting the expectations and standards for nursing education programs as well as ensuring active nurses remain compliant with the laws and rules. It also provides resources for continuing education units to help nurses renew their licenses and keep their skills relevant. Like RNs in other states, those in North Dakota must satisfy specific guidelines to earn a license and practice in the state. A list of first-time application procedures is provided below, along with renewal information. Graduate from a Board-approved in-state nursing education program or an out-of-state program that is approved by another board of nursing. The program must include clinical experience across the life span and be equivalent in the amount and time mandated in North Dakota in-state programs. North Dakota is part of the Nurse Licensure Compact. If you reside in another Compact state, you are not eligible for an ND license and must obtain a multi-state license in your home state. If your home state is not another Compact state, you may apply for a single-state license in North Dakota. If you graduated within 60 days of applying for licensure, you’ll receive a Work Authorization after passing the test and once the results have been submitted to the Board. This notice will only be posted online; no paper authorizations will be sent. The North Dakota Board of Nursing expects active registered nurses to stay up-to-date on best practices and new technologies. As a result, all nurses must renew their licenses on a regular basis, which involves fulfilling both continuing education and practice hours. This includes at least 12 contact hours of continuing education in the two years before the license expires and at least 400 hours of nursing practice within the last four years. Active ND licenses have an expiration date of December 31 of the current year and the state enforces a $120 renewal fee for RNs (fees vary for advanced practice RNs, depending on authorization and circumstance). Submit proof of certification by a national nursing certifying body in a specialty that is directly relevant to the completed education program. Verification must be sent directly from the certification organization. For more information about licensure for advanced practice nurses in North Dakota, visit the North Dakota Board of Nursing. Being a rural state, finding qualified nurses in some areas of North Dakota is a challenge. In fact, in 2013, there were less than 20 certified nurse midwives and even fewer nurse practitioners, according to the Board of Nursing’s 2012-2013 Annual Report. And while wages are not quite on par with the national average, there are some highly lucrative areas. Taking into account the low cost of living in across the state, North Dakota nursing salaries are comparable to other areas in the US. Take a closer look at the state’s salary and employment outlook for registered nurses and advanced practice nurses. The North Dakota Board of Nursing regulates the standards for nursing education, licensure and practice. 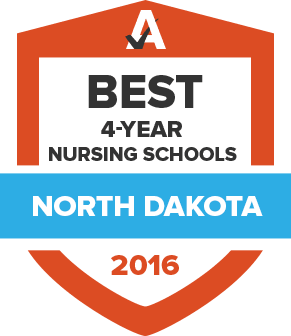 The North Dakota Center for Nursing began in 2011 as a community for nurses to become more involved in their profession and as a bank of resources that can help nurses further their careers and the practice of nursing. Developed by the North Dakota Center for Nursing, this website provides resources for students, nurses and nurse faculty members. In addition to other nursing organizations, it also provides information about career tracts and job openings across the state. The North Dakota Nurses Association is a professional association affiliated with the American Nurses Association that represents all registered nurses in the state. The North Dakota Nurse Practitioner Association promotes quality health care in the state through advocacy and continuing education for nurse practitioners.